Ohio Gov. 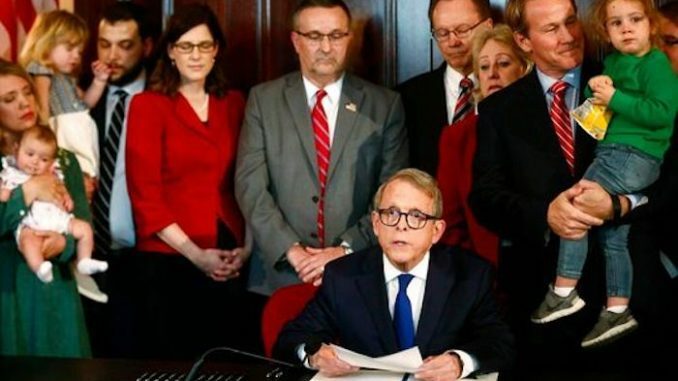 Bill DeWine has defiantly signed the “heartbeat” abortion ban into law, despite fierce opposition from Democrats. The Republican governor signed the bill after the state legislature approved the legislation on Wednesday. Foxnews.com reports: John Kasich, DeWine’s Republican predecessor, vetoed the measure twice while in office. He said such a law would create a costly court battle and likely be found unconstitutional.